Home » Games » My Best Games Of 2010! What Are Your Favourite Games You’ve Played This Year? My Best Games Of 2010! What Are Your Favourite Games You’ve Played This Year? As it’s the end of the year, we’ve been asked: “What is the best game you’ve played this year?” It’s an interesting question is this one. 2010 has been a pretty good year for gamers with 2011 looking even better with the likes of Uncharted 3 and Mass Effect 3 recently announced. So my first thought was should my best game of the year be something that’s new and something that I’ve only played once, or a game that’s a few years old that keeps me coming back for more? Obviously one of the games that I’ve only played once this could be a game I play over and over again over the years. I’ve made myself a short list of my candidates and will try to decide on one by the time I get to the end of writing this post. So I’ll start with the first game which popped into my head which is Limbo, the XBLA gem. This game was fantastic and was like a breath of fresh air to my games collection. It wasn’t a massive game in how long it took to complete, nor did it have state of the art visuals. Don’t get me wrong, the graphics were impressive and very artistic with it all being in black and white with not a drop of colour in site. Limbo is a great little puzzle game that had me hooked from start to finish with a great eerie soundtrack to go with it. Limbo is a game that dared to stand out from the crowd and show some superb creativity. The next on my list is God of War 3. Kratos’ third outing and his first on the PS3 (not including the upscaled God of War 1 & 2 Collection), and my God was it impressive. It’s without a doubt one of the best looking games on the PS3 so far and nobody can really argue that fact. The scale of some of the enemies that stand before you are at times stunning with buckets of blood thrown in for good measure. With a soundtrack to match the size of the game, it’s no wonder that this is one of my favourite games this year. ‘Ratchet and Clank’ has always been one of my favourite game franchises and I found A Crack in Time to be my favourite of the series so far. The visuals are ever impressive, great gameplay, nice humour with some priceless moments, and of course Captain Qwark. What’s not to like? Some people may disagree that I’ve added this into my shortlist as there are those who think that Ratchet and Clank is just the same thing over and over. I can see their point, but there were some nice additions to A Crack in Time that made it a touch above the rest. Finally, I’m going to mention quite an old game. Jak and Daxter: The Precursor Legacy is one of my all time favourite games and one that I tend to play through at least once every 12 months. Playing this through again, you can see that it isn’t a lengthy game compared to today’s AAA game titles, but I love everything about it – great visuals, simple yet brilliant gameplay and is the type of Jak and Daxter that people are wanting to see on the PS3, only bigger and better. There are other games that I’ve played this year that I’ve enjoyed like Fable II, Final Fantasy XIII, Professor Layton to name a few. All good in their own way but as you can see from my shortlist I like my cartoon style games. Not that I don’t like other games, just look at how much I’ve been geeking out over Uncharted in the last 12 months! (that isn’t on my list as I played that last year before you all start). So what was my favourite game of 2010? 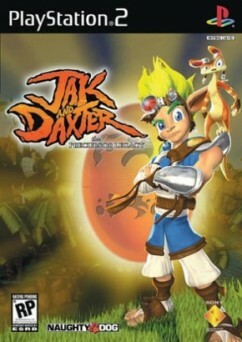 I think I’m going to have to go with a golden oldie and say Jak and Daxter. The fact that I’ve completed it at least 7 or 8 times over the years just shows how much I love this game. It’s becoming a bit of a Christmas tradition. But with all the massive titles hitting the shelves in 2011 I’ll probably have a new favourite game for 2011, although Jak and Daxter may take some beating! If only Naughty Dog were to bring out a new game next year…..one can only hope. How about all you gamers out there? What have your best games of 2010 been? Doesn’t matter if they’re old or new, as long as it’s a game you’ve played this year, let us know in the comments below. This post was part of Gamer Banter, a monthly video game discussion coordinated by Terry at Game Couch. If you’re interested in being part of this, please contact him for details. 5 Most Wanted Games of 2011 – It’s Going To Be A Great Year Of Gaming!